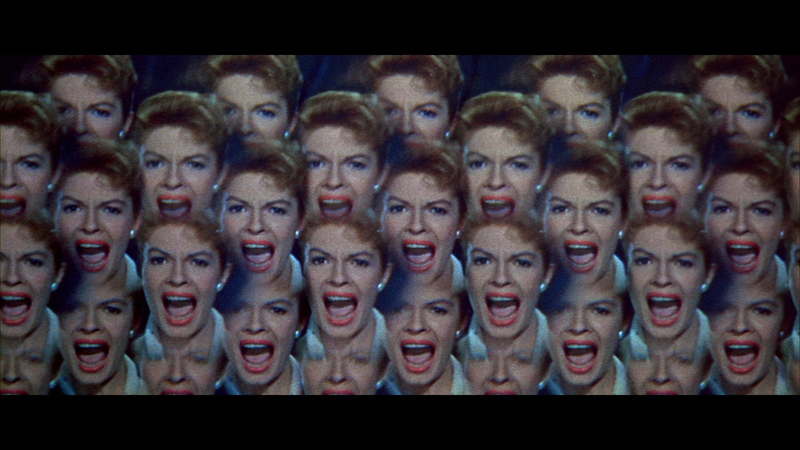 The Fly (1958), starring the legendary Vincent Price in a rather secondary role, is a notable example of the shock cinema of the late 1950s. It tends to cause two different reactions among viewers as it walks a fine line between schlocky fun and unsettling science-fiction horror. Some scenes which could easily be funny, such as the reveal of the fly head, still have the ability to effectively catch viewers off guard. Others, such as the little fly with the human head shrilly screaming “help meee!” on the spider web, can make one chuckle while still getting under one’s skin, mostly because the actors play it completely straight (although Price would later recall trying to film the scene and he and fellow actor Herbert Marshall bursting out laughing at the flailing animatronic figure that they used as a reference point). Beautifully filmed with vibrant colors, the story of a scientist who accidentally turns himself into a giant fly is a parable about the dangers of interfering with the order of things, and of the unrelenting cruelty of nature. It is a theme that had been widely exploited since both the atomic age and the Holocaust made Americans fear the side-effects of science run amok. While the movie is a little slow and subdued in places, the direction and acting keeps everything grounded, never letting it stray too far into either camp or dullness. It remains determined to present a character-driven story as David Hedison, who plays the scientist both in and out of the fly make-up, gives a sympathetic performance. Directed by Kurt Neumann, this film would be his biggest box office success. Unfortunately, he would not live to see it. He died of natural causes after the premiere but before the film’s general release. Perhaps more famous than this version, The Fly would be remade and re-imagined in 1986 by David Cronenberg with some of the most memorable scenes of body horror ever committed to film. This original 1958 production is very much a product of its time and is, generally, best enjoyed as such.